Antonio Gramsci's prison writings of the 1930s have made a lasting impression on contemporary political theory. Above all, his concept of `hegemony' has enabled new kinds of research into the relationship between culture and power. 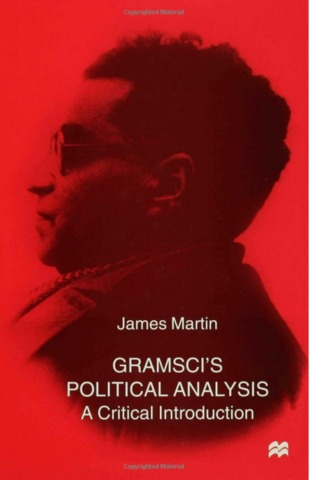 In this new introduction to Gramsci's thought, James Martin takes a critical look at the core themes of his famous Prison Notebooks and considers the relevance of Gramsci's analysis today. Martin situates Gramsci in the context of Italy's social and political crises in the first decades of the twentieth century. the Notebooks are then interpreted as a theoretical response to that crisis. Three central political themes are examined: the intellectuals, the relation between state and civil society, and the function of the revolutionary party. Finally, the uses and limitations of Gramsci's concepts for theorising state legitimacy and class politics are appraised.